LOS ANGELES, CA (Nov. 4, 2014) – Hip-Hop’s finest Todd “Too $hort” Shaw unveils his highly anticipated EP dubbed “19,999” just shy of celebrating 30 years in the game. The West Coast trailblazer has dropped a creative lyric video for his well received newest single “19,999 B*TCHES” exclusively on WorldStarHipHop.com. “Hip-Hop has no boundaries. I'm going out like I came in, making good music. I'm on stage in front of OG's, 80’s babies and 90’s babies and everybody loves it, so there's no way I can stop now because I still love doing what I do and it's still a damn good job,” the rap artist says. 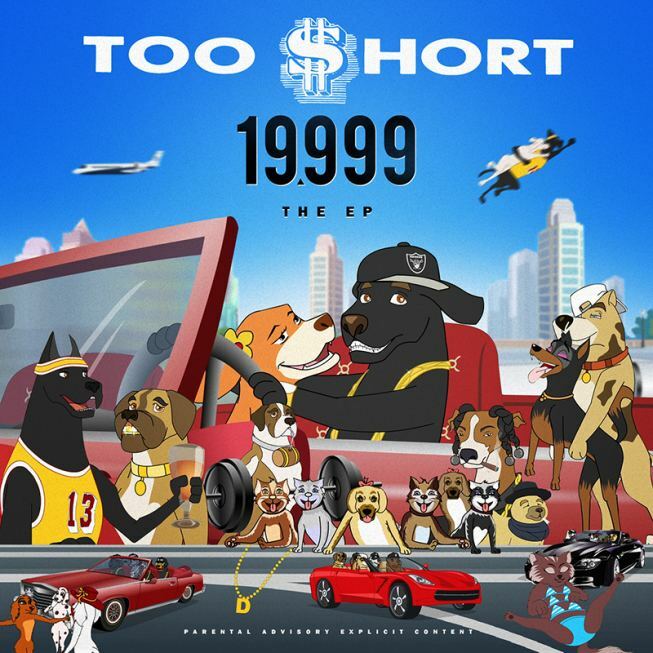 Too $hort’s “19,999” EP is a precursor to his upcoming 16th studio album commemorating his 30 successful years in the music business and slated to drop early next year. Always the businessman, Too $hort recently launched his state of the art digital production facility “The Magic Gate” in Studio City, California, along with co-founder and industry vet Monica Payne. The executive plans to stay true to his vision of empowering and providing opportunities for talented artists on the rise. Urban Gamers League Kicks Off with Halftime Football Challenge!! !